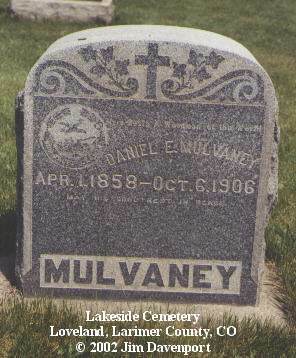 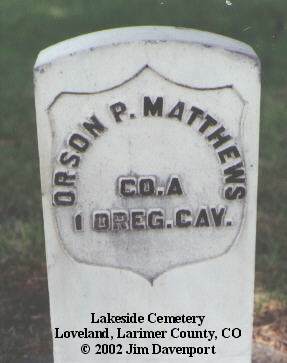 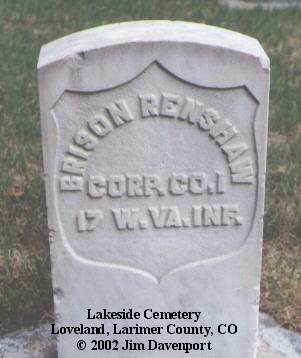 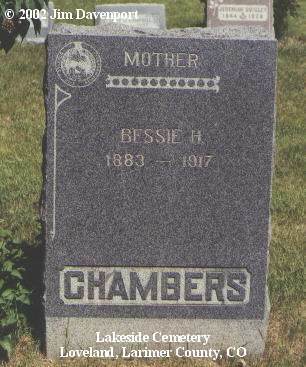 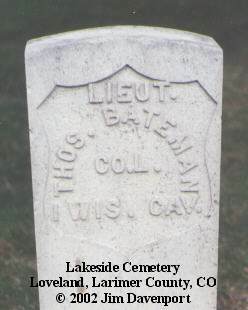 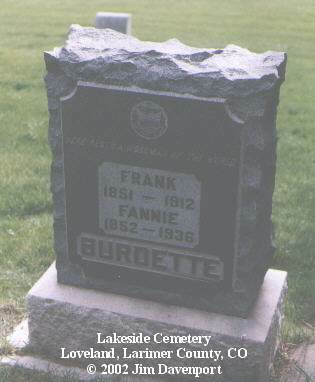 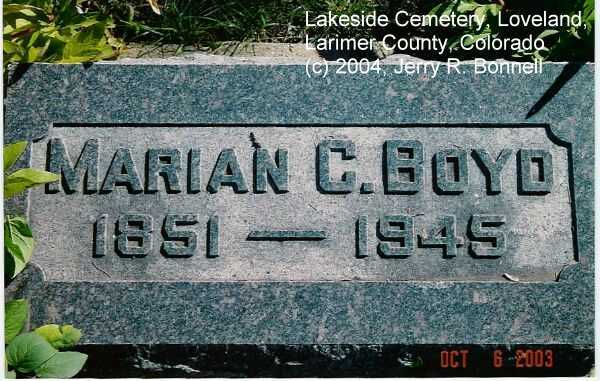 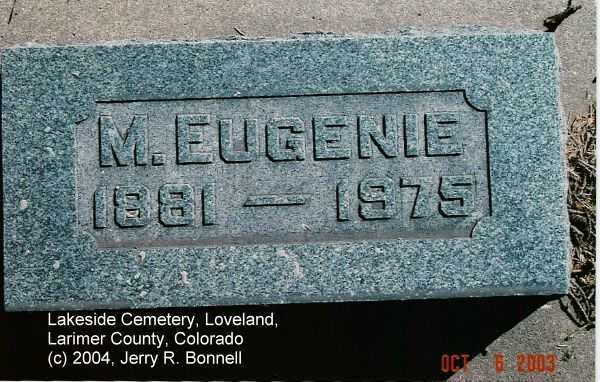 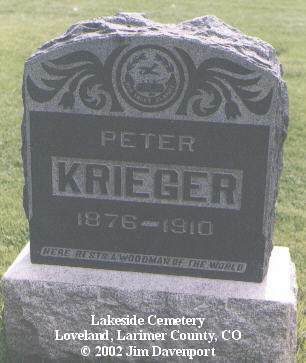 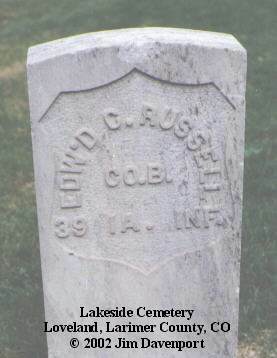 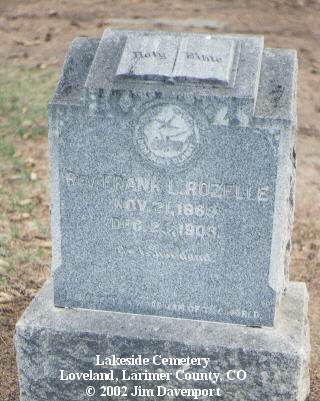 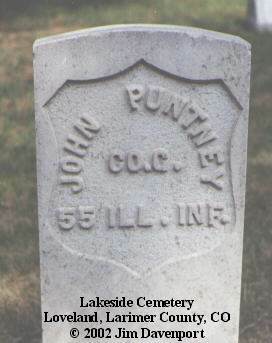 Lakeside Cemetery was established in 1880 with the first recorded interment in February 1880. 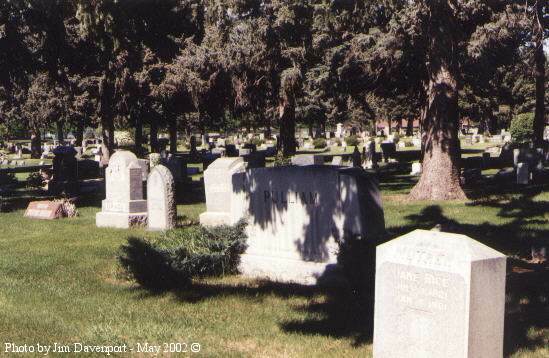 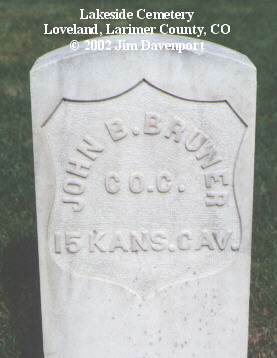 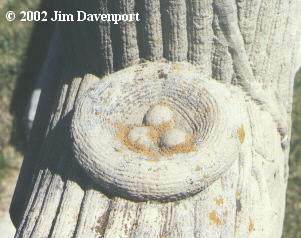 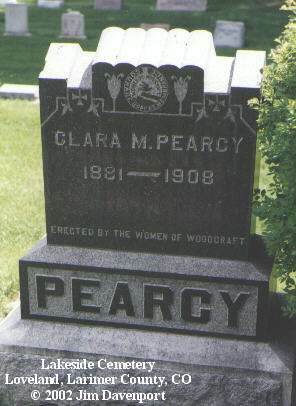 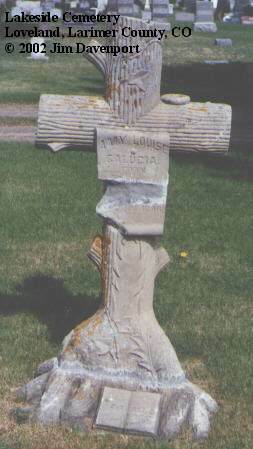 There were burials at this location before 1880. 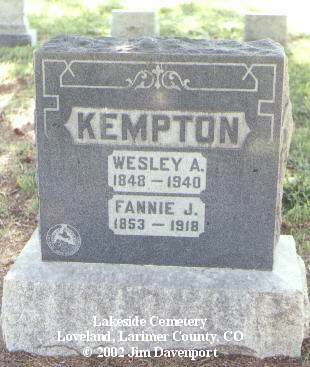 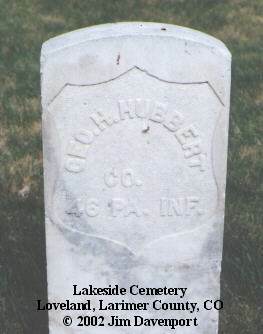 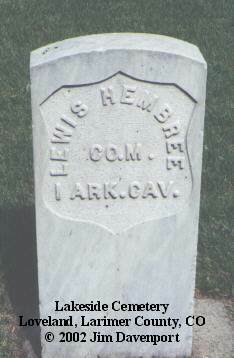 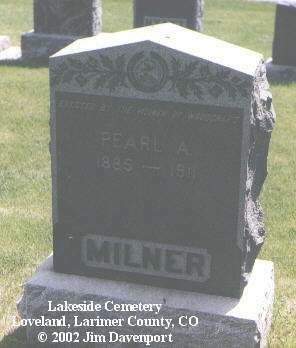 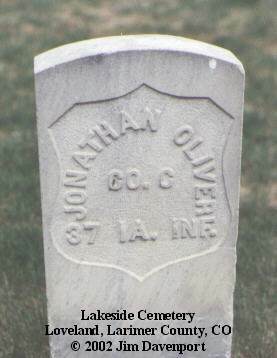 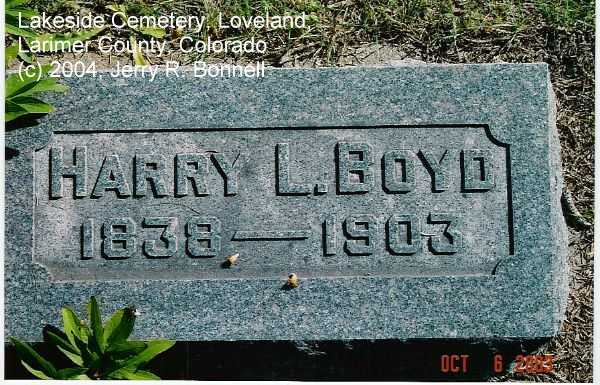 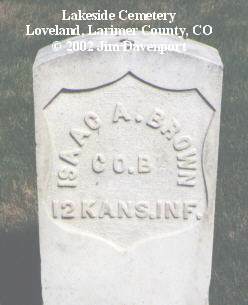 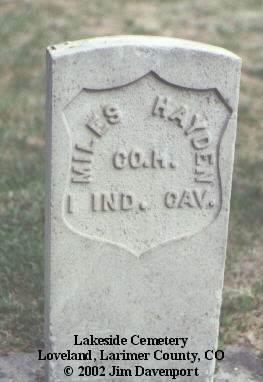 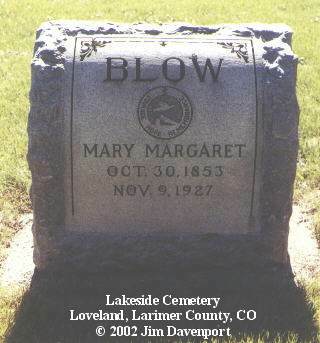 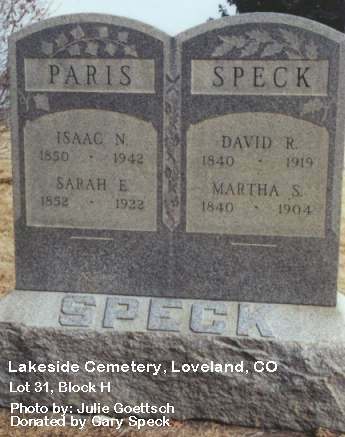 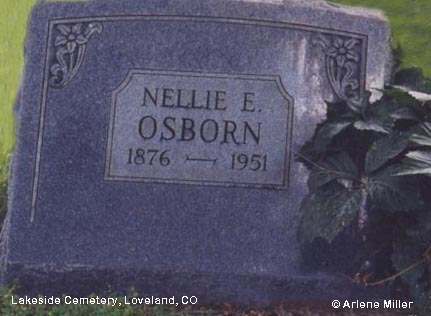 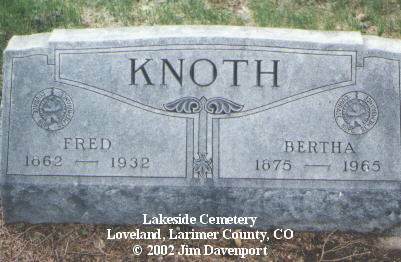 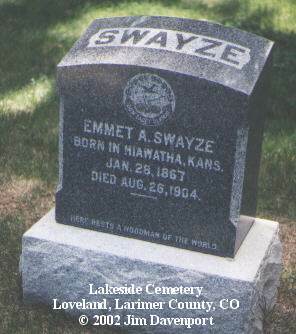 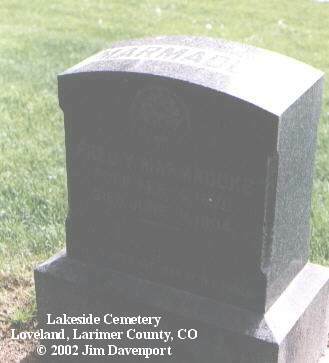 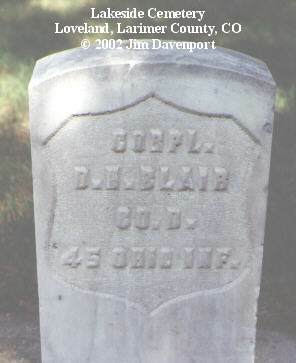 The cemetery is just across the street from the Loveland Burial Park a half mile north of Loveland. 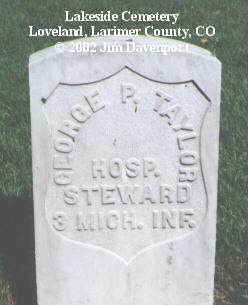 From I-25 take the Loveland exit to the intersection of Hwy. 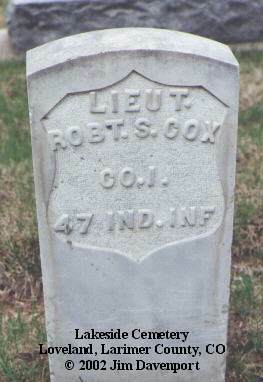 34 and Lincoln Ave. (Route 287). 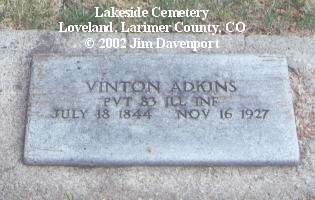 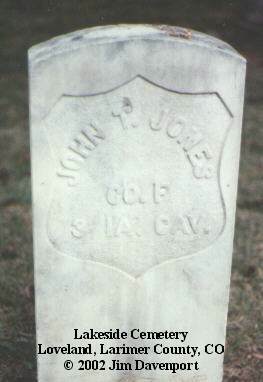 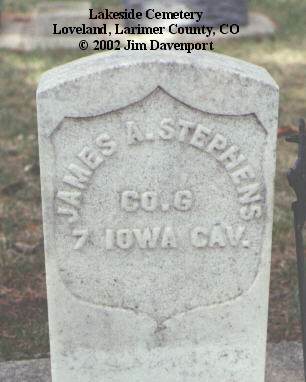 The cemetery is on the east side of Lincoln Ave.
William Hiram Edmonds, son of John D. & Harriet Eliza Edmonds was born 10 Oct 1856. 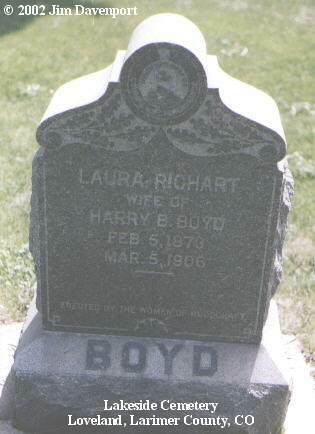 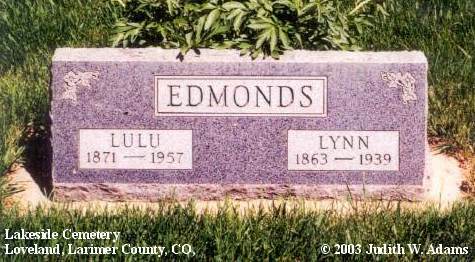 Lulu (Richart) Edmonds, daughter of G. W. & Miranda (Caywood) Richart. 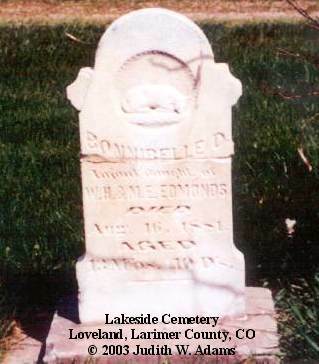 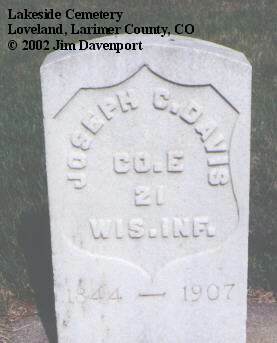 Lynn Edmonds, son of John D. Edmonds & Harriet Eliza (Folliet) Edmonds Scott. 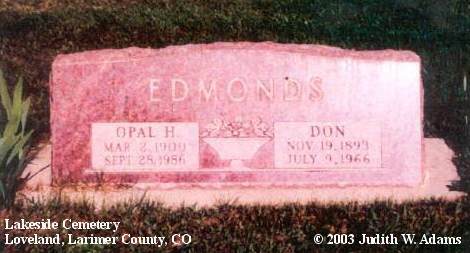 Donald "Don" Edmonds was the son of Wm. 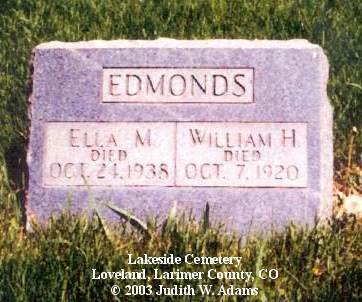 H. & Ella (French) Edmonds. 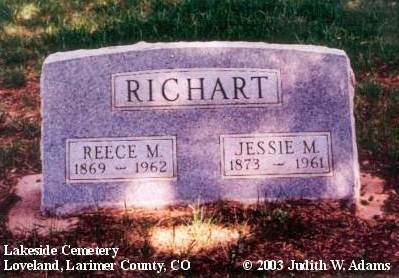 Son of Reece M. & Jessie M. (Alford) Richart. 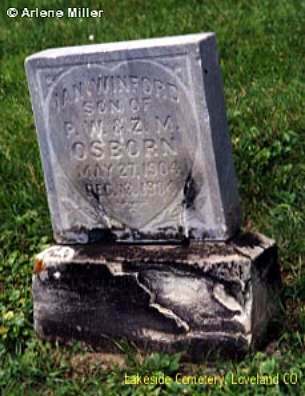 Maranda/Miranda Robinson Caywood was the daughter of William Wesley & Catharine Donavan (Newman) Caywood. 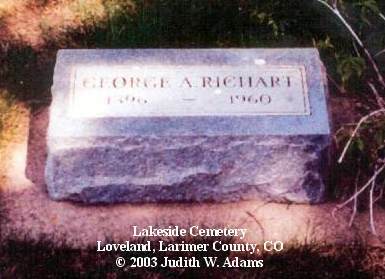 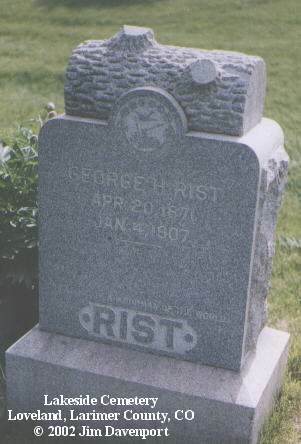 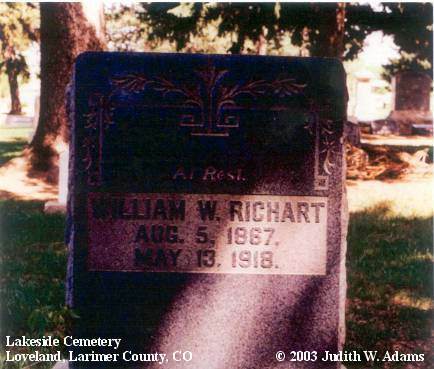 George Washington Richart was the son of William & Lucinda (Thompson) Richart. 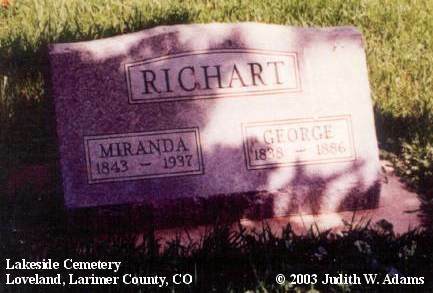 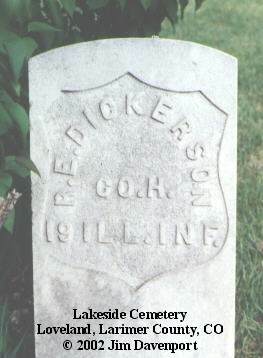 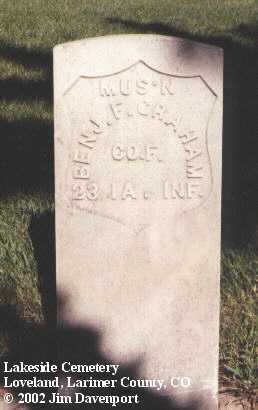 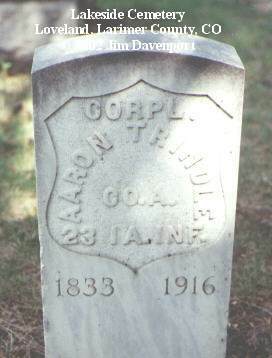 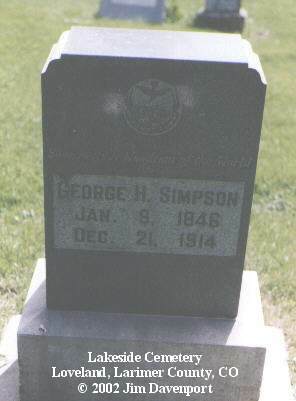 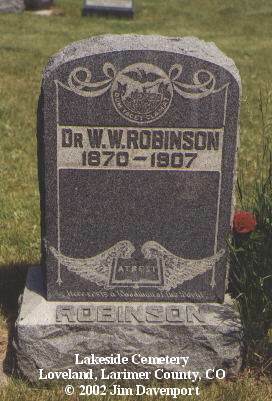 Son of George Washington & Maranda Robinson (Caywood) Richart; one time Marshall of Fort Collins. 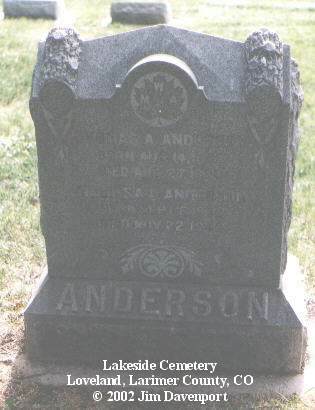 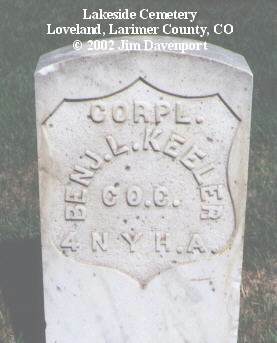 Harriet Eliza Folliet was the daughter of Aaron Edmonds & Harriet Folliet; married 1st, John D. Edmonds; married 2nd, Charles P. Scott, probably at Yates Co., NY. 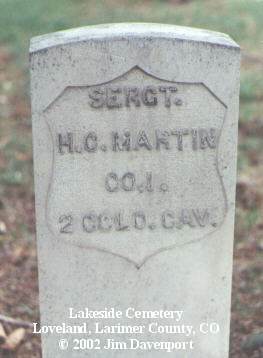 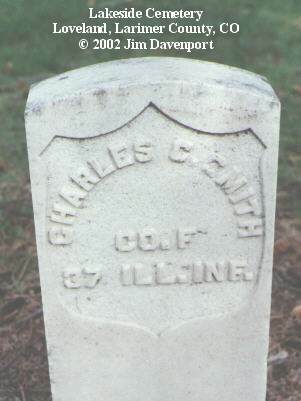 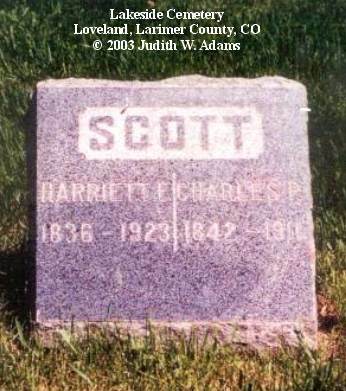 Charles P. Scott was the son of Charles Scott (b. 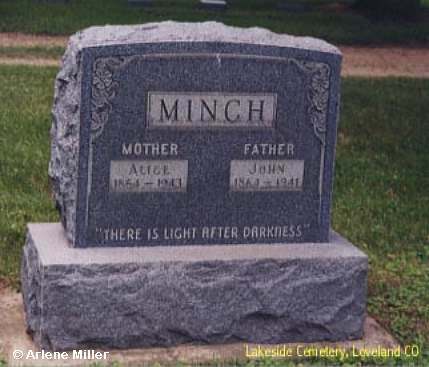 Eng.) 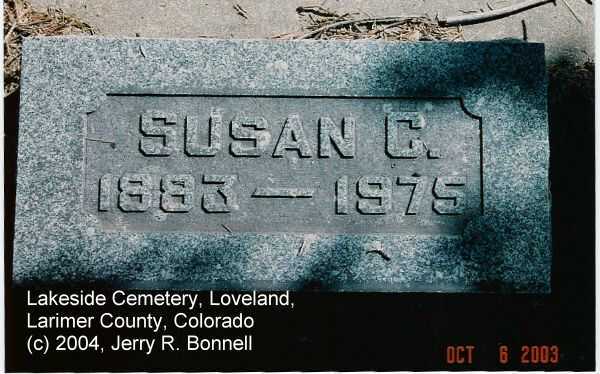 & Sarah Plaisted. 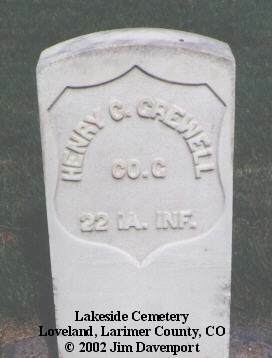 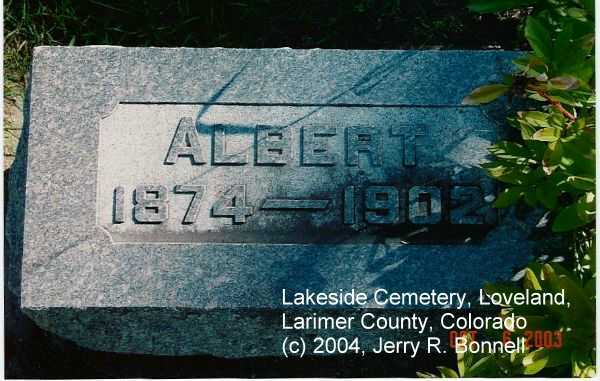 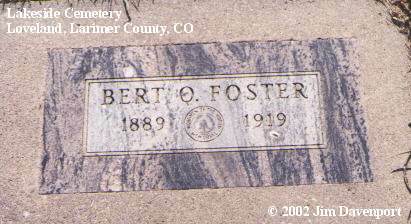 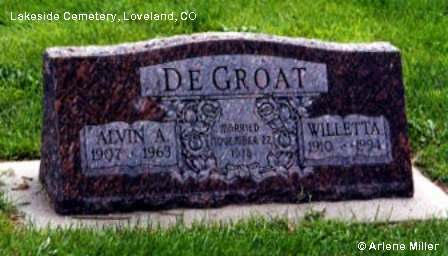 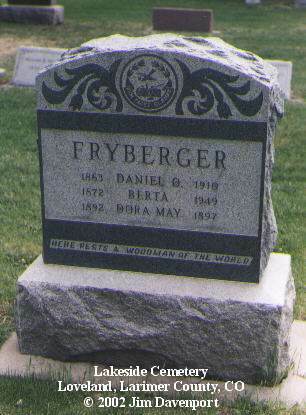 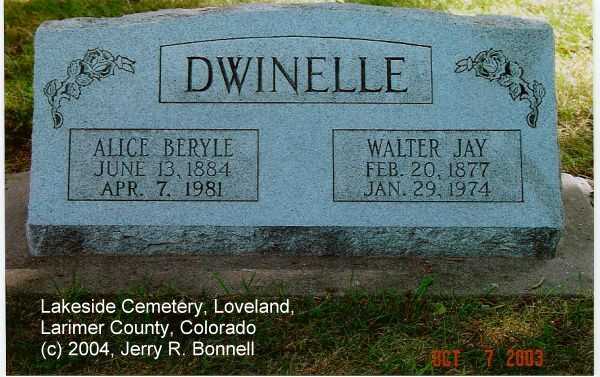 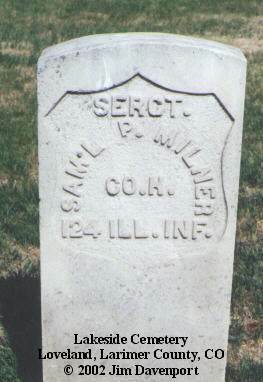 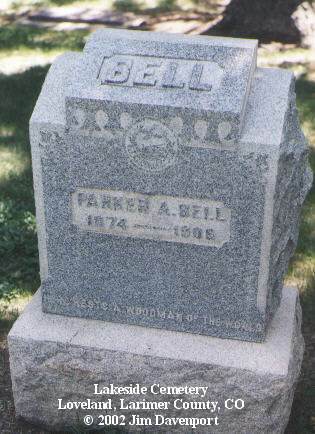 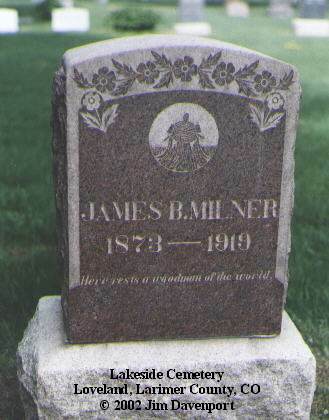 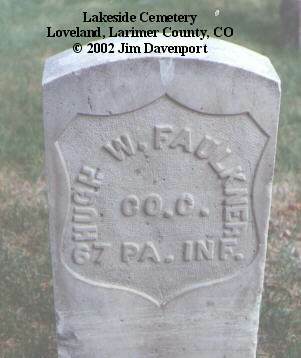 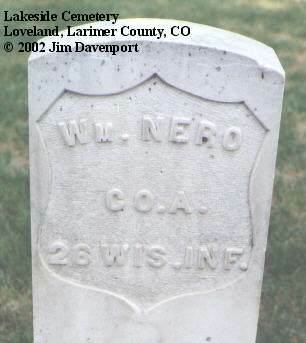 He was at one time Larimer County Clerk.